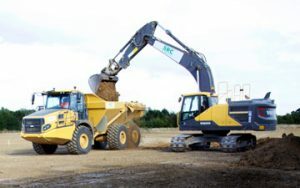 Our highly skilled team have experience in a range of contracting services including Demolition, Soft Strip out, Site Clearance, Contract Crushing, Asbestos removal and more. 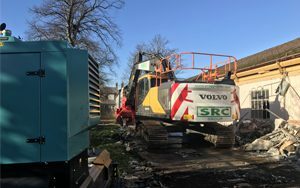 SRC offer safe, controlled and thoroughly planned out Demolition across the South East of Essex. Using the latest equipment and techniques, we train our teams to an extremely high level of ability and professionalism. All of our work is carried out under the strictest guidelines and we take every care to ensure that what we do does not adversely affect the environment. 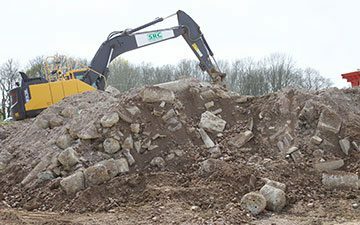 Demolishing and Site Clearance often go hand in hand for obvious reasons, as any demolished structure results in a varied range of different and substantial waste. 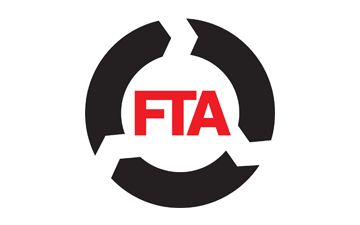 It is therefore essential that this waste is safely and reliably cleared and disposed of in order to allow further work to be carried out. 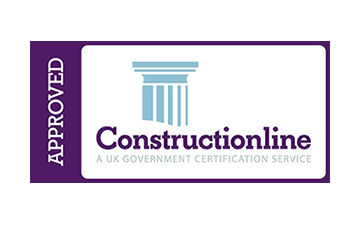 This can sometimes mean the removal of hazardous materials such as Asbestos among other general building material, and so it is essential that all site clearance is carried out by highly trained professionals such as ourselves. You can rest assured that the SRC team has the necessary knowledge and skill to provide you with an end to end solution. 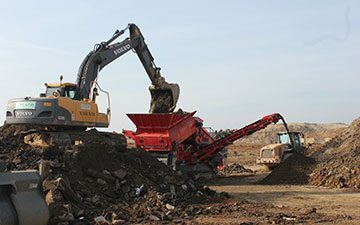 With changes in legislation and a greater emphasis placed on recycling as much waste as possible, SRC offers a competitive contract crushing and screening process. 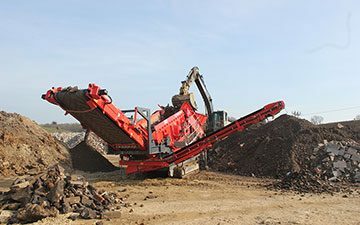 Having investing in our own machinery, our experienced operators who are fully trained and qualified can come to you, and provide a range of recycled products without you having to leave site. SRC provide a thorough asbestos removal service. 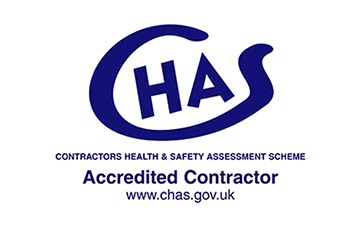 All our operatives are fully trained and certified for the removal of Non-Licensed Asbestos. We are confident that no matter the size of the project, we can provide customers with a competitive solution whilst enhancing their eco-friendly credentials. Some Asbestos Containing Materials (ACMs) are more vulnerable to damage and more likely to give off fibres than others. In general, the materials which contain a high percentage of asbestos can be easily damaged. Sprayed coatings, lagging and insulating board probably contain blue or brown asbestos. Asbestos insulation and lagging can contain up to 85% asbestos and are most likely to give off fibres. Working with asbestos insulating board can result in equally high fibre release, if power tools are used. On the other hand, asbestos cement contains only 10-15% asbestos, which is tightly bound into the cement and may only give off fibres if it is badly damaged or broken. 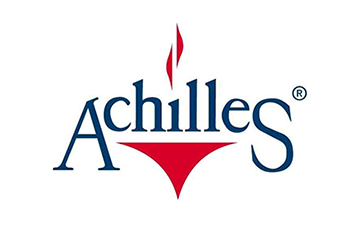 Most commonly utilised in preparation for building refurbishments or demolition projects, our team specialise in derating buildings and stripping out building internals. As part of our fixture removal and fitting removal services, we use soft-strip techniques to ensure all recyclable materials such as timber, metal and plastics are carefully removed. This soft-stripping procedure allows us to segregate waste materials to ensure the maximum amount can be reused for other purposes. 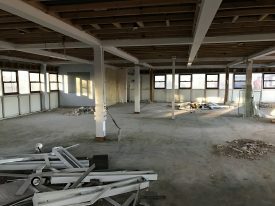 We’ll work with you professionally and efficiently to ensure that the de-rating of your building and the stripping of its internals is a complete success. Having obtained a mobile treatment licence from the Environment Agency, SRC are able to treat contaminated materials, substances and products with the purpose to remediate land or controlled waters so they can be safely used again. 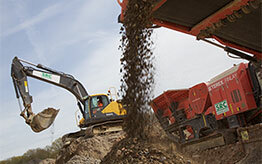 Options include soil washing, stabilisation and bioremediation. Treatment plants can also be used for blending, mixing, bulking, screening, shredding, particle size reduction and particle separation in order to facilitate remedial action.